Honda suffered by succes of R1. In this year had to satisfied by second place and centralized forces on new model for year 2000, with this model Honda wanted to get back on the top. 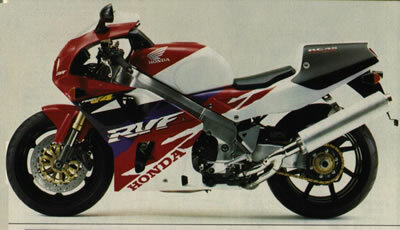 Honda in order to decrease selling bad success of Fireblade had to sell much cheaper than R1. The only one difference between 1998 and 1999 model was color scheme. The big changes were on the way. Chief Engineer Baba-san and his team spent on development of new Blade thousands and thousands hours. They put togeter few functional models, some with 1000cc engine some with tuned 918cc engine and some with 929cc engine. Development was classified and press was speculating if Honda decline from slogan "Total Control" and will go the way of increasing the power, which was required in that time.